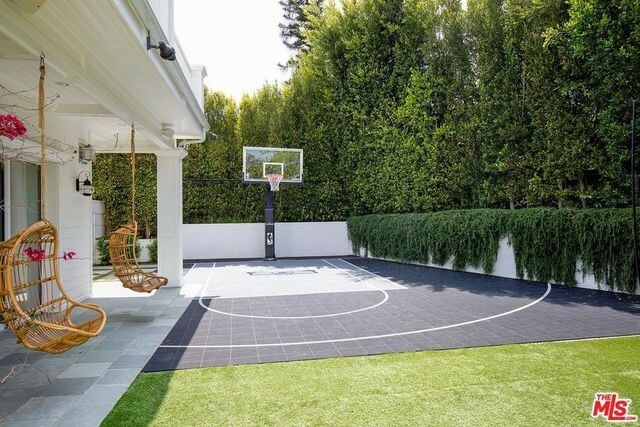 Now that burly NBA forward Blake Griffin is starring for the Detroit Pistons, he’s getting serious about selling his former home in the Pacific Palisades neighborhood of Los Angeles. Variety reports he recently listed it for $11 million. 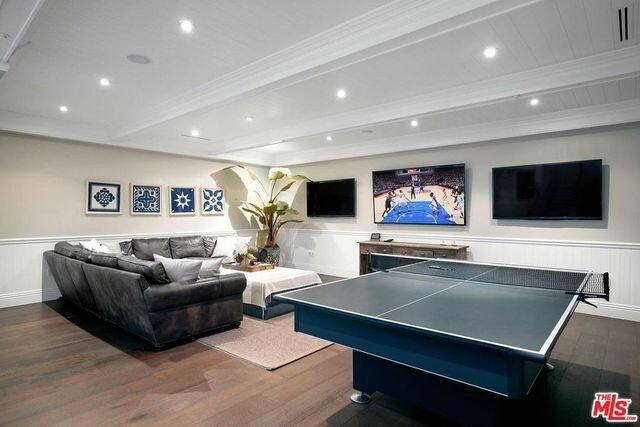 The former Clippers star tested the waters with a whisper listing, quietly shopping the mansion around for nearly $12 million. With no buyers nibbling, the mansion is now on the market for anyone to take a peek. It’s been almost a year since the Clippers traded Griffin to the Motor City, and it’s easy to see why a multimillion-dollar spread in Southern California would be superfluous. Griffin was the first overall pick in the 2009 NBA draft and played just over seven season with the Clips. In 2013, he bought this 9,600-square-foot home in the Palisades Riviera for $9 million. It was brand-new at the time. Highlights of the six-bedroom, 6.5-bathroom home include gleaming hardwood floors, beamed and vaulted ceilings, and floor-to-ceiling glass doors and windows. The luxe master suite includes a sitting area, fireplace, private terrace, and double closets, each the size of a bedroom. The wide-open, all-white kitchen with glass-front cabinets is equipped with stainless-steel appliances and an island with seating. The large lot also includes an outdoor kitchen under a pergola, a large spa and pool, which, naturally has a hoop on one side. The backyard sport court also has a hoop set up. Other features include an office, gym, home theater, and family room. It seems that selling his Pacific Palisades house appears to be one of the few loose SoCal ends Griffin needs to tie up. Now in his ninth season in the NBA, he’s made his sixth All-Star team and is in the second year of a five-year, $171 million contract extension.